Lets go ride a bike -wheel MTB fun ! 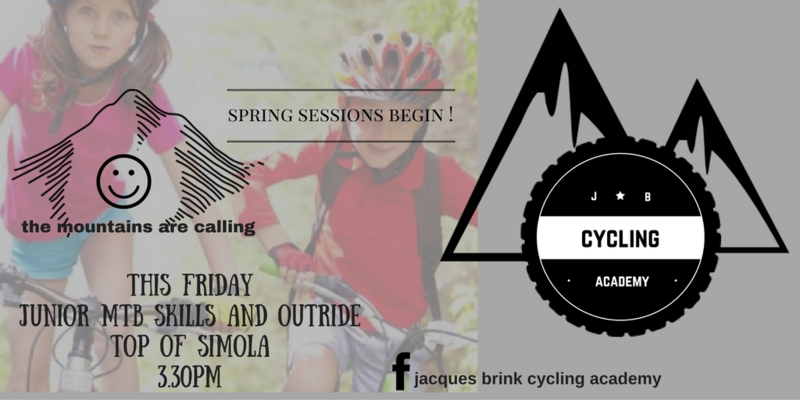 We will be adventuring into the Knysna forest again on Fridays with JB Cycling Academy .Fun skills and bicycle lessons on what and what not to do will be continued . Each session includes lessons on how to ride different obstacles safely and how to handle your bike whilst having fun competitions amongst one another – encouraging each one to try something a little out of their comfort zone each time . Shorter rides for beginner mountain bikers and more advanced skills and trails for the more advanced rider – where the younger ones do a shorter course meeting up with the group later on .Each rider should be able to use gears and brakes fairly well and have a bicycle in a good condition ! No helmet – no ride . Suits ages approx. 7 and up . Join the fun ! We are looking forward to take you riding .